Kyrre Gørvell-Dahll (born 11 September 1991), better known by his stage name Kygo, is a Norwegian DJ, record producer, musician, and songwriter. He garnered international attention with his remix of the track I See Fire by Ed Sheeran, which has received over 55 million plays on SoundCloud and 65 million views on YouTube and his single Firestone which has over 500 million views on YouTube with an additional 560 million plays on the music streaming service Spotify, as of August 2017. Kygo has accumulated over 2.5 billion views on his music on SoundCloud and YouTube. 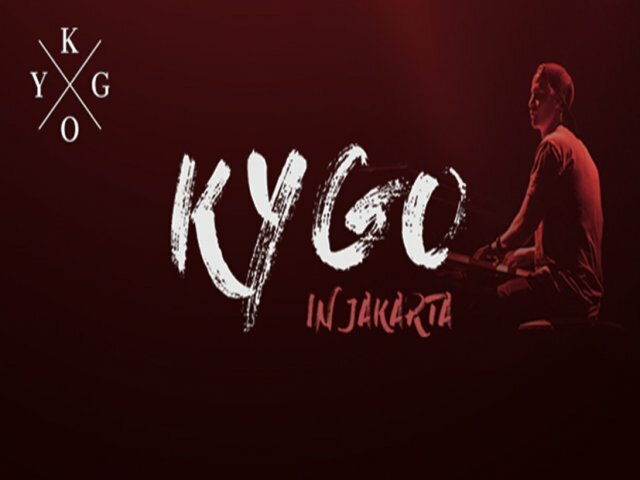 Kygo has since released several singles, such as Stole the Show, Here for You, Stay, and It Ain't Me, which have debuted on several international charts. Kygo's debut album Cloud Nine was released on 13 May 2016. He made history on 21 August 2016 at the 2016 Rio Olympics, when he became the first house music producer to perform at an Olympics closing ceremony. In March 2018, Billboard named Kygo as number three on their 2018 ranking of dance musicians titled Billboard Dance 100. Catch his Kids in Love Tour The tour will be making a stop in Jakarta, Indonesia on November 2nd, 2018 at JIEXPO Kemayoran.